Spring Blossom scented, this EcoEgg is scientifically proven to reduce tumble drying time by up to 28%, saving you time, energy and money every time you use your tumble dryer - good for 40 washes. Buying this product will earn 121 Loyalty Points. 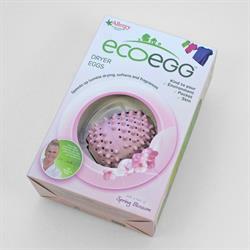 Be the first to submit a review for the EcoEgg Fragranced Dryer Ball for Tumble Dryers.